Tesoro sei bellissima, gonna top! Lilli se non l'avessi scritto non l'avrei detto che sotto indossi un vestito, mix perfetto, poi quel tono di rosa è bellissimo! MON AMIE how are you!! Girl I love love love your HAIR !! This is such a sweet and feminine outfit Lilli! I You super pretty! l love your floral print sweatshirt! Stai benissimo Lilly adoro la gon a.
Che bella la felpa e mi strapiace la gonna asimmetrica!!! I like how you layered the dress with the sweater. 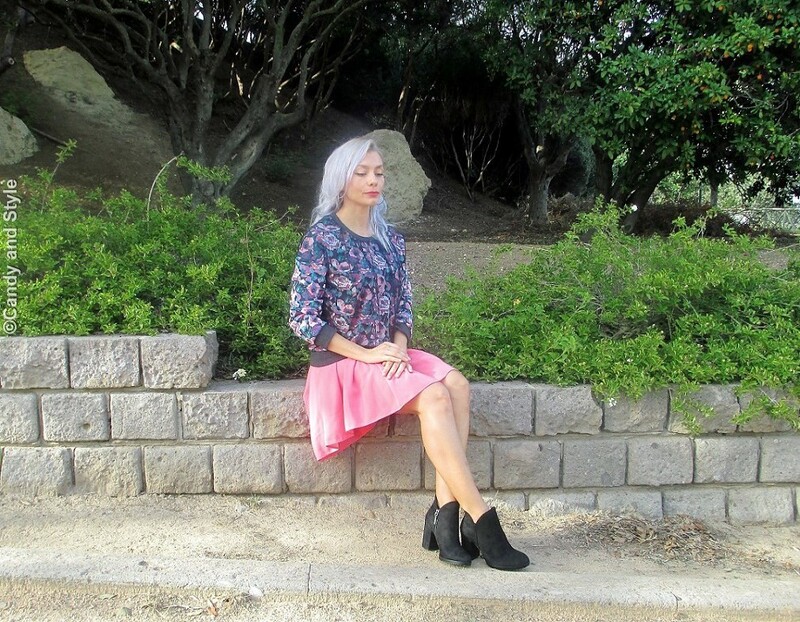 your pretty nice outfit is a great example how to dress a summer skirt for autumn. And this pink look good with the floral sweater. Very cute Look. Dolcissima la felpa a fiori abbinata alla gonna rosa. Very beautiful combination and that high low dress you wore as a skirt is such a great color. Pink for fall is so pretty Lilli. I like the cu of your skirt. Looks so feminine. Th volume of that skirt is stunning Lilli. Hope you're having an amazing week so far gorgeous. Mi piace molto questo abbinamento, splendida la gonna! Is a good idea to wear a dress and skirt to take greater advantage and gain new combinations, sweatshirt loved, very beautiful as usual Lilli! Kisses.